Many people enjoy using their outdoor hot tub or spa during the colder months. There is nothing more relaxing than soaking in your warm tub watching a starry sky or snow fall. 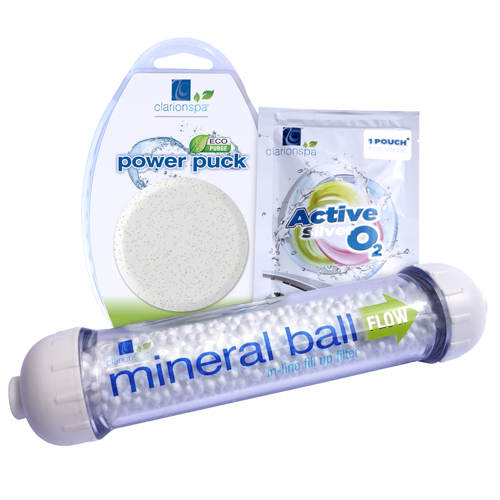 When the temperatures drop we all tend to feel aches more, so a gentle hydrotherapy session can help to ease away the pain. Sounds bliss! But before you dash back to your tub there are certain precautions that you must be aware of first. Your safety is paramount, particularly during the colder season, therefore it is essential that you supervise any vulnerable members of your group e.g. children or elderly, both to and from the hot tub and during usage. Also be aware that if you are drinking alcohol (responsibly obviously) whilst enjoying your hot tub you need to take extra care. Alcohol can deceptively make you feel warm as it dilates the peripheral blood vessels near your skin, more blood and heat flows to these vessels and takes blood and heat away from your body core. Therefore when you step back out into the cold after drinking you can lose heat from your body very quickly and that can be dangerous. It is common sense, but start by making sure you have a quick and easy path to and from your accommodation to your outdoor hot tub. Maybe temporarily set down some riven anti-slip tiles so that you aren’t walking through cold, wet grass or on slippy surfaces. Check out the tile collection on www.World of Mosaics.com . Are you going to make a mad dash for the hot tub? Otherwise consider what are you going to do with your footwear/robe before you get into the hot tub. You could purchase an inexpensive lidded plastic storage box or consider housing your hot tub in a beautiful cedar wood gazebo. Contact www.Project Pool.co.uk website for further gazebo details. Likewise, now is not the time to dunk your head under the water. Staying out in cold weather with wet hair is a recipe for disaster. Keep your head warm by keeping your hair and face dry. If you’re feeling particularly jaunty, wear your favourite hat! Okay so we’ve kept you safe, now you need to prepare your hot tub and get into a regular cold weather maintenance routine. The cold season is certainly not the best time to purge and drain your hot tub. Take care of this maintenance at the end of October and your hot tub should be fine for another 3 months. Don’t forget to check you filters too. 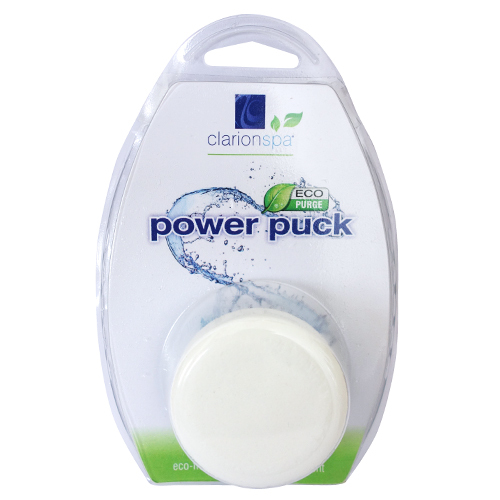 Order your Clarion Spa EcoPurge Power Puck, Mineral Ball Filter, and Active Silver Oxygen pouches today. Make sure you stock up on supplies. Ensure you have a spare filter and water care products. The weather can be unpredictable and you don’t want to risk needing to go out to purchase these products or have delivery delays. 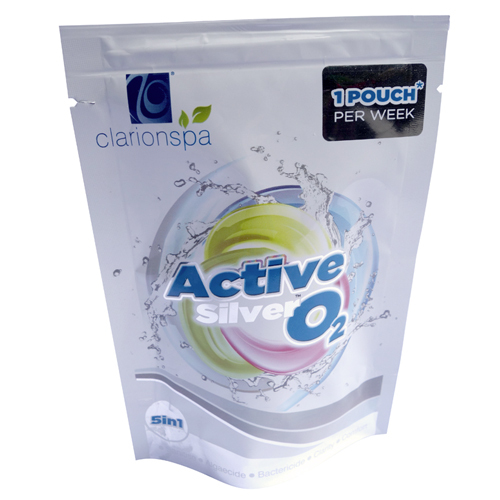 Order your 3 step Clarion Spa hot tub water care products today. One of the major risks of operating a hot tub during colder months is that water can freeze in the pipework, therefore it is essential to protect your pipes. Check if your spa has a freeze protection system or an auto heat control and activate them as soon as the temperature starts to drop at night according to the instruction manual. This will help to maintain a constant water temperature even when you’re not using the spa. If your hot tub doesn’t have freeze protection set the timer switch for a 15-20 minute cycle every hour to ensure hot water circulates through the pipes and equipment, as well as keeping the bathing water nice and warm. Please note that in areas of intense cold, i.e. -10 or below, 15 minutes per hour may not be a long enough time to stop freezing. A good quality insulated cover is essential for reducing energy consumption during the cold season. We also recommend that you use an inexpensive thermal hot tub blanket under the cover to help retain the heat in and decrease moisture build-up on the cover. You must always maintain the water temperature. The colder it is outside, the longer it takes for your spa to heat up. It is cheaper to maintain the warm water temperature of your hot tub on a daily basis rather let it get extremely cold and then reheat it when you want to use the spa. It also obviously essential to keep water from freezing in the pipework. You must check the water level of your hot tub regularly, especially if you do not use your spa every day. If the water in your spa gets too low, the pumps and heater may stop working which will cause the water and pipework to freeze. Running the air jets during colder months uses a great amount of energy and the jets also inject cold air into the water you are trying so hard to keep warm. If you do wish to use them make sure you turn off the jets after every use. Remember to regularly remove snow/debris from on top of your hot tub cover. Most covers are not designed to hold the added weight of snow. Laying a plastic sheeting (tarpaulin) over your cover will help prevent damage from a snow shovel, and light snow can be easily removed by simply pulling off and shaking the tarpaulin. So grab your robe, put your bobble hat on, fix yourself a drink and enjoy the luxury of your hot tub throughout the year by following our simple guide.